As the Seminoles get ready to hit the road for their next two games, Florida State University is kicking off a different kind of football game at home next week. It’s National Cybersecurity Awareness Month, and FSU Information Technology Services created a football-themed game to encourage online safety. Cyber Bowl is an online game designed to test students’ and employees’ defense against cyber threats. Players take the (virtual) field and tackle 10 challenging questions — ranging from phishing blindsides to fumbled passwords — to find out if they bring home the cybersecurity championship or secure a spot on the blooper reel. The Cyber Bowl runs Oct. 1-11. Anyone is welcome to play, but FSU students, faculty and staff have a chance to score big. All current FSU students and employees who play are entered into a grand prize drawing. Students have the chance to win one of two $500 tuition scholarships, and employees can score a Dell XPS 13 laptop or two tickets to the FSU vs. Boston College football game. In addition to the online game, Noles can also follow ITS on Twitter, Facebook or Instagram (@floridastateITS) for more chances to win throughout the month. And that’s a win in our book. 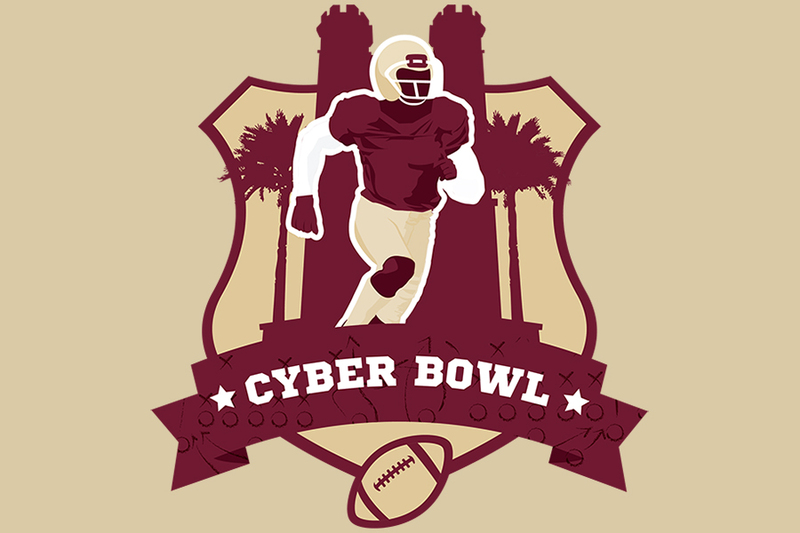 Play in the Cyber Bowl at cyberbowl.its.fsu.edu. NCSAM raises awareness about cybersecurity in order to increase the resiliency of the nation in the event of a cyberincident. NCSAM has been formally recognized by Congress, federal, state and local governments and leaders from industry and academia. Now in its 15th year, NCSAM is a true group effort, with more than 450 official champion organizations nationwide. For more information, visit staysafeonline.org/ncsam or dhs.gov/national-cyber-security-awareness-month.